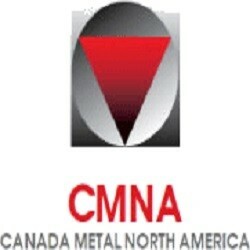 Short Business Description: Canada Metal North America, estd. 1883 is a family owned dealer and manufacturer of lead-based products in Canada. We offer services to the medical, construction, commercial marine, nuclear industries and many more. Our wide range of quality products include babbitts, teater, marine and heat exchanger anodes, bricks, sheets, pipes, castings and extrusions. We have our manufacturing unit in Montreal and regional sales offices in Toronto and Calgary. At Canada Metal North America, we use metals of the highest quality to manufacture products that meet international standards. We specialize in custom crafted solutions depending on your needs and specifications. Please contact us for more information at 1 800 363-7110 (TF).